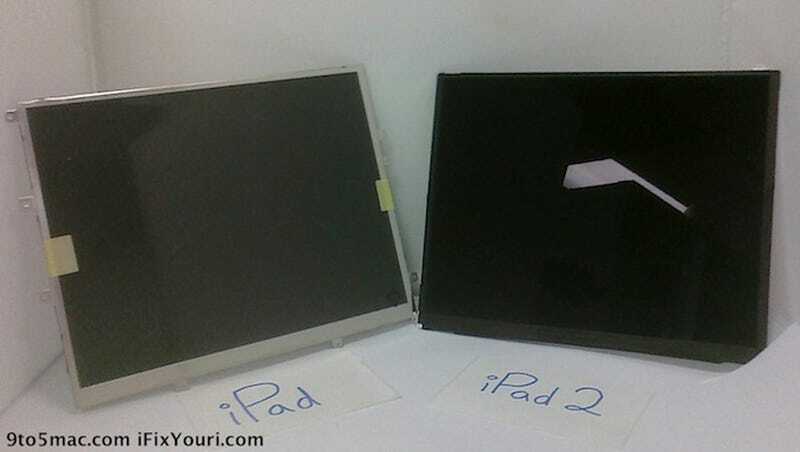 Could This Be the iPad 2's Display? Please bear in mind this could be fake, ladies and gents. 9to5Mac had procured images of what's thought to be the iPad 2 LCD screen, showing it's a millimeter thinner than the original iPad, and lighter to boot. Your own eyes will also be able to see that it looks like there's a smaller bezel, too—which if you cast your mind back to the original iPad's launch was one of the largest disappointments.